Featured image of Wedding Gown worn by model on the runway is from Gaultier’s Fall 2005 Couture collection. 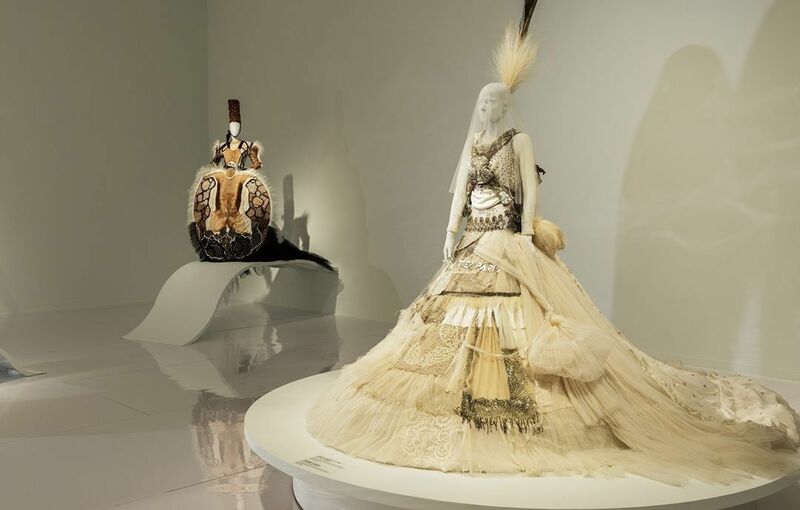 Around a monumental wedding cake, Love Is Love features Jean Paul Gaultier’s most beautiful bridal creations. Their daring lines and exquisite artistry bear witness to the eccentricity of this iconoclastic designer who is renowned for his spectacular silhouettes as well as his humanist, inclusive vision.